Hawk Performance leading-edge brake friction technology is proven everyday in motorsports. Pit Stop USA is The Online High Performance Superstore! 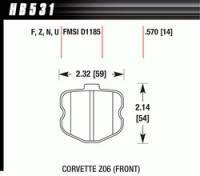 We feature 1967-79 Camaro / 1971-82 Corvette D008 Pads (D8) at low everyday prices. Pit Stop USA is The Online High Performance Superstore! 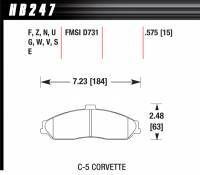 We feature 1985-87 Corvette D294 Pads (D294) at low everyday prices. Pit Stop USA is The Online High Performance Superstore! 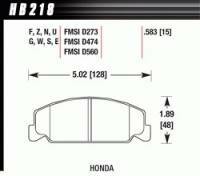 We feature 1989-2000 Honda D273 Pads (D273) at low everyday prices. Pit Stop USA is The Online High Performance Superstore! We feature 1991-2002 GM Truck / 1994-98 Dodge Truck D369/D789 Pads (D369) at low everyday prices. Pit Stop USA is The Online High Performance Superstore! 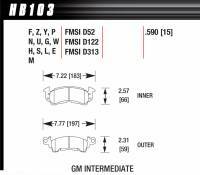 We feature 1991-2002 GM Truck / 1994-99 Dodge 2500-3500 Truck D459 Pads (D459) at low everyday prices. Pit Stop USA is The Online High Performance Superstore! 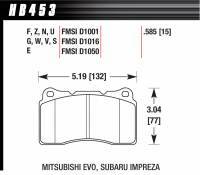 We feature 1994-2001 Honda/Acura D617 Pads (D617) at low everyday prices. Pit Stop USA is The Online High Performance Superstore! 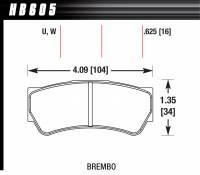 We feature 1994-2003 Ford F-150 D626/D632 Pads at low everyday prices. Pit Stop USA is The Online High Performance Superstore! 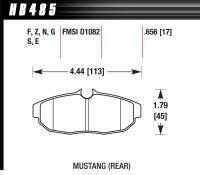 We feature 1994-2004 Mustang D627 Pads (D627) at low everyday prices. Pit Stop USA is The Online High Performance Superstore! 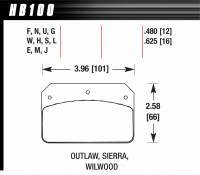 We feature 1994-98 Mustang / 1993-97 Thunderbird D600 Pads (D600) at low everyday prices. Pit Stop USA is The Online High Performance Superstore! We feature 1995/2006 Chrysler D415/D512/D559/D641/D658/D759/D782 Pads at low everyday prices. Pit Stop USA is The Online High Performance Superstore! 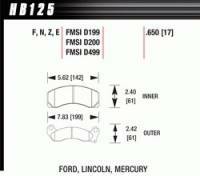 We feature 1996-2004 Ford F-150 D679 Pads (D679) at low everyday prices. Pit Stop USA is The Online High Performance Superstore! 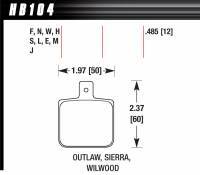 We feature 1996-2004 Ford Truck D702 Pads (D702) at low everyday prices. Pit Stop USA is The Online High Performance Superstore! 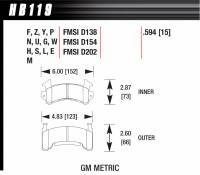 We feature 1997-2007 Ford Truck D711/D879 Pads (D711) at low everyday prices. Pit Stop USA is The Online High Performance Superstore! We feature 1997-2008 GM Passenger Car D699/D753/D818/D850 Pads (D699) at low everyday prices. Pit Stop USA is The Online High Performance Superstore! We feature 1997-2010 Mitsubishi / 91-96 Dodge/Plymouth/Eagle D530/D723 Pads at low everyday prices. Pit Stop USA is The Online High Performance Superstore! 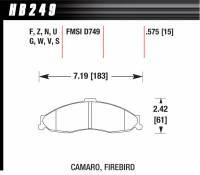 We feature 1998-2002 Camaro SS/Firebird D749 Pads (D749) at low everyday prices. Pit Stop USA is The Online High Performance Superstore! We feature 1998-2002 Camaro SS/Firebird D750 Pads (D750) at low everyday prices. Pit Stop USA is The Online High Performance Superstore! We feature 1998-2005 Ford F-250/350 Truck D756/D824 Pads at low everyday prices. Pit Stop USA is The Online High Performance Superstore! 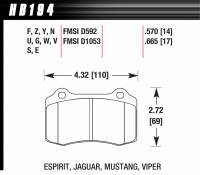 We feature 1999-2004 Mustang D804 Pads (D804) at low everyday prices. Pit Stop USA is The Online High Performance Superstore! 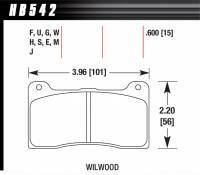 We feature 1999-2005 Ford F-250/350 Truck D757 Pads (D757) at low everyday prices. Pit Stop USA is The Online High Performance Superstore! We feature 1999-2010 GM Passenger Car D508/D698/D714/D754/D814 Pads (D508/D698) at low everyday prices. Pit Stop USA is The Online High Performance Superstore! We feature 2000-02 Dodge 2500/3500 Truck D821 Pads (D821) at low everyday prices. Pit Stop USA is The Online High Performance Superstore! 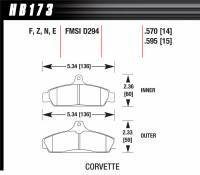 We feature 2000-07 Corvette/XLR/GTO D731 Pads (D731) at low everyday prices. Pit Stop USA is The Online High Performance Superstore! 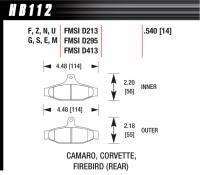 We feature 2000-11 Corvette/XLR D732 Pads (D732) at low everyday prices. Pit Stop USA is The Online High Performance Superstore! 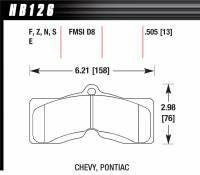 We feature 2000-12 GM Truck D784 Pads (D784) at low everyday prices. Pit Stop USA is The Online Motorsports Superstore! 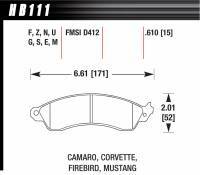 We feature Hawk Performance Brake Pads. Hawk Performance's leading-edge brake friction technology is proven everyday in severe-duty motorsports and performance street brake applications. Put the power in the brake pedal and specify Hawk Performance disc brake pads. Hawk Performance, a long time innovator of friction material development for Motorsports, offers a wide variety of Brake compounds with features designed to meet the demands of pavement circle track racing. After many months of testing and development Hawk Performance has introduced Hawk Dynamic Torque Control (DTC) brake pads. These advanced friction formulas have already helped winning teams rack up some very impressive victories within the circle track arena. Hawk Brake offers DTC-70, DTC-60, DTC-30, HT 14, HT 10, Blue MT 4 and Black compounds for pavement circle track racing. Hawk Performance recommends three different brake pad compounds suitable for dirt circle track racing; DTC-30, Black and DTC-05. Hawk Performance, the official Brake Pad for SCCA, has long been the industry leader in friction material development for sports car and open wheel type road race applications. Hawk Performance offers a wide variety of Brake compounds with features designed to meet the demands of all types and classes of road racing; DTC-70, DTC-60, HT 15, HT 14, HT 10, Blue 9012, Black and HP Plus. Hawk Performance offers a wide variety of brake compounds with features designed to meet the demands of all forms of NASCAR type racing: DTC-70, DTC-60, HT 15 and HT 14. Hawk Performance is committed to understanding the specific needs of the race car, the driver and the drag race track. We are constantly testing, developing and improving our line of brake materials to give Drag racing enthusiastas unbeatable braking performance; DR 97 and HP Plus. We offer Hawk Performance Brake Pads at low everyday prices!